When many people think of the ideal Malaysian vacation, they immediately think of Penang and it’s not difficult to see why. Penang is an island region that has been a major tourist destination for many years and it’s quite simply because it’s a location that has it all. 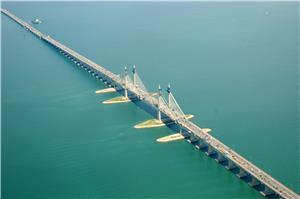 In fact, many travel authorities feel that if you only visit one part of Malaysia, Penang really ought to be it. Penang is home to Georgetown, a major Malaysian metropolitan center that is home to numerous cultural events (Georgetown has been listed as a World Heritage site since July 2008), major international festivals, and a wide variety of signature Malaysian products and dishes that are steeped in tradition. Penang Island is also a popular destination among people looking to experience all the benefits and perks of an exotic island getaway at its best. Beautiful bays and picturesque beaches characterize the natural landscape, providing the ideal setting in which to relax and get away from it all. Luxury beachfront hotels and old-fashioned traditional villages are also both part of the Penang experience, so it really is the perfect destination for travelers looking to experience everything Malaysia has to offer. Bus travel to Penang, train travel to Butterworth and flight travel to Penang Bayern Lepas Airport are the travelling options for travellers to visit Penang. Flight service is fastest but the Bayern Lepas Airport is at the south of Penang Island, which is about 20-30 minute driving distance away from Georgetown. Additional taxi transfer is needed. Apart from the flight ticket sometimes could be expensive if you do not get it well in advance. Bus to Penang obviously is the best choice because fare is reasonably affordable and frequency is high. The duration from KL to Penang by bus takes about 4 hours only. Besides that, few express buses arrive at Komtar Georgetown Penang, which is very convenient to visitor to save the time and cost from additional transfer service. Please be careful when you purchase bus ticket from KL to Penang, because most of the buses arrive at Sungai Nibong Bus Terminal (which is located nearby airport, 20-30 minutes driving distance from Georgetown). Other popular bus services to Penang include bus from Singapore to Penang, Ipoh to Penang and Malacca to Penang. 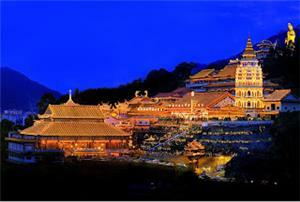 For more information about Bus to Penang, check out details from us today!